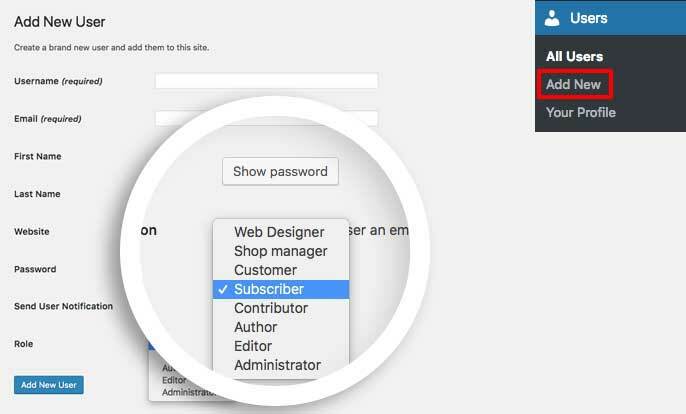 WordPress user roles are used so that you can grant other users access to your site to create posts and even Soliloquy sliders without giving them access to your theme or plugin sections of your WordPress admin. However, there are many differences for each WordPress user role. You can read more about WordPress roles here from our friends at WPBeginner. Contributor roles can create and edit their own posts as well as delete their own posts (as long as they are not currently published). However, they do not have access to publish posts or upload images. This seems less likely of a solution if you were wanting them to be able to insert images into their posts or even create sliders to use in their posts. Author roles have the access to create, edit and publish posts as well as delete posts (including published ones) and upload images. This means they could easily create a slider and insert that into their post as well. You can give your users the ‘Contributor’ role and easily give them access to upload images and create sliders just by changing their role using either a plugin or a custom function. Alternatively, you can use a child theme and a custom function to give users with the Contributor role permission to upload images to all posts and pages (including Soliloquy sliders). Thats it! Now you know a little more about WordPress user roles. Want to add a slide count to your slider images? Check out our article on How to Add Slide Count to a Slider.